The Flo-Tech range of portable hydraulic test equipment from Badger Meter USA. 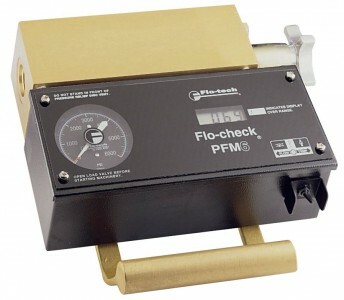 The Flo-Tech testing models simultaneously measure the flow rate, temperature and pressure of hydraulic fluid. Additional product options of data logging and models with integrated hydraulic load valve. Flow rate measurements are derived from an accurate internal flow turbine meter assembly, specifically adapted to hydraulic oil measurement. 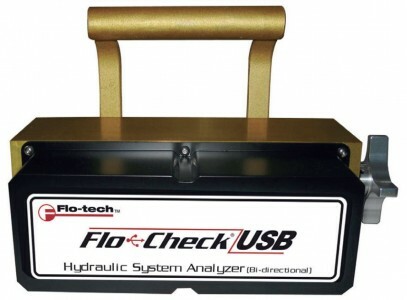 These tester units are designed by Flo-Tech specifically for testing pumps, valves, cylinders, motors, hydrostatic or power shift transmissions and power steering systems - in both mobile and stationary applications. When used in a preventive maintenance program, untimely or catastrophic repairs are minimized. A complete family of testing equipment is available to provide operators with the perfect solution that fits their needs, each equipped with a carrying handle to improve portability.